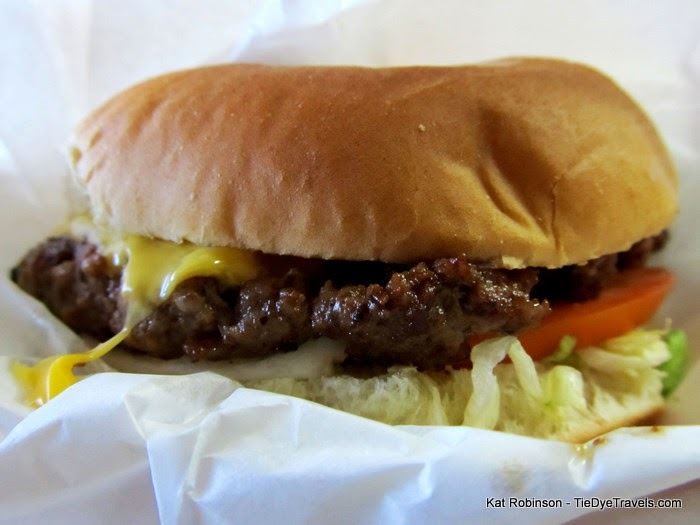 Burger joint of the week: Dairy Shack in Waldenburg. Have you ever been unsure of where exactly you are? Yeah, this happened to me last week. I knew I was in Waldenburg — I mean, I was at the crossroads of Highways 14 and 49, on a plot that used to be the place to stop for barbecue from a trailer when I used to make the weekly run from Jonesboro to Little Rock and back in the 90s. And the GPS said I’d ended up at Josie’s Restaurant. But the place was marked with several signs, and the entrance that was open was catty-corner under a big sign that said D-Shack. Bill Lawson had sent me the recommendation after I’d posted a request for such on my way to northeast Arkansas. I’d pulled up at the restaurant, checked my messages and yeah, there it was. The sign to the right said Josie’s, but the door was on the left. cheeseburger and fries. Turns out, unlike most places, there’s no default on the burger settings. What I mean to say is, if you order a burger you have to tell them exactly what you want on it. The sweet girl who took my order asked if lettuce, tomato and mayo were okay. Sounded fine to me. I got my tea from a milk jug on the counter. 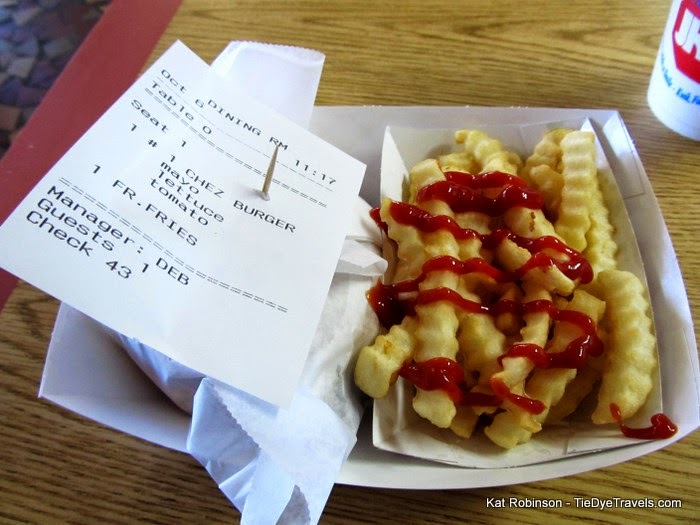 I had a seat in the small dining room area next to a door that had “Josie’s” written on it. I looked up the place on my phone. I was at the right address. I was confused. I thought this was supposed to be a steakhouse? There were a couple of guys talking about riding motorbikes on the weekend, seated at different tables and talking across half the room. I’d forgotten how the dialect sounded in the area — with the flat As and elongated Es from time to time. It does sound different from one corner of our state to the other. with it. 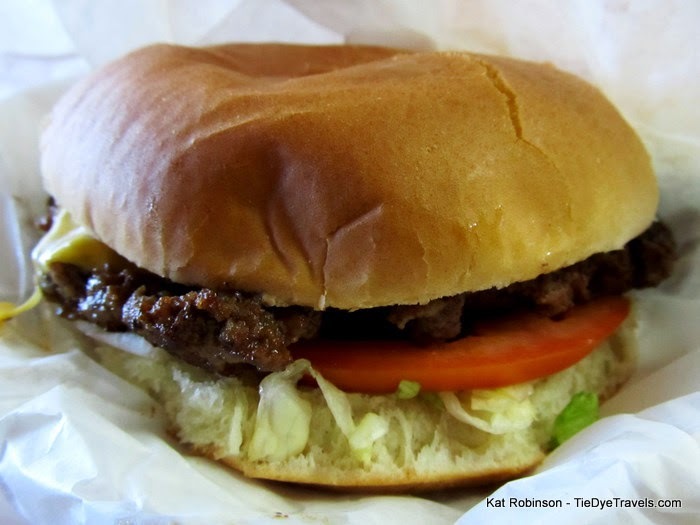 The seedless untoasted bun was fresh and pasted to the top of the patty with the cheese. The burger patty itself made all the difference. Juicy — I mean, yes, there was some griddle grease there, but it was juicy even though it was cooked through. There were salt and pepper hints to it but otherwise here was a fine example of a decently done burger with fresh meat and fresh ingredients. Yay. The char was even substantial but not overdone. Wish I could have justified getting a milkshake. 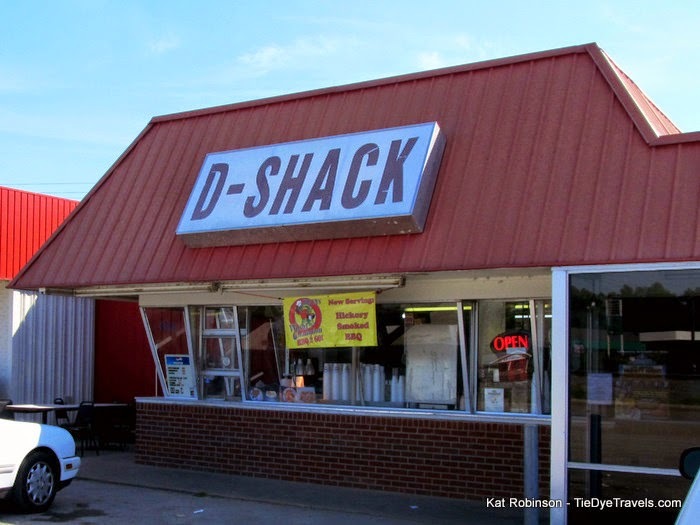 I mean, after all, a Dairy Shack should have great milkshakes. However, I was on the quest for pie again and had seven other stops to make that day. No, I’m not kidding about that. Dairy Shack also does a plethora of other things. There’s a daily lunch special for $4.99, a meat-and-two-veg special that sometimes changes and sometimes doesn’t, which features things like a chopped steak, fried chicken or chopped pork barbecue. In fact, the place smelled like barbecue when I pulled up. There’s items like locally farm raised catfish on the menu, as well as tilapia and shrimp. 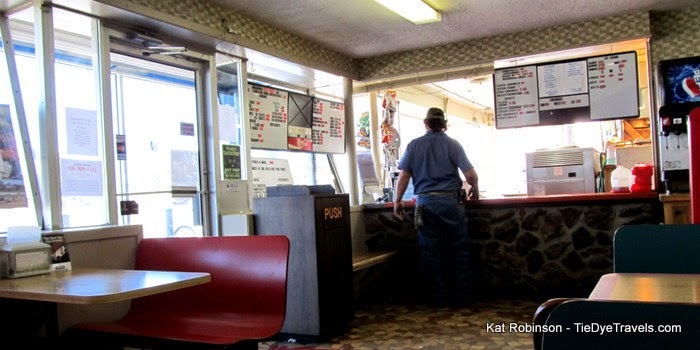 Barbecue sandwiches start at a buck 90, and there are nine different flavors of milkshake — including peanut butter, pineapple, butterscotch and cherry. But the identity thing? Appears Dairy Shack and Josie’s share space at 7964 Highway 49, but they have different phone numbers. I would suspect Josie’s is an evening thing. I’ll have to go try a steak — I’ve heard they’re scrumptious. The number for Dairy Shack is (870) 579-2214.